If you are into Ecommerce business, the future prospects can be quite exciting and this is one reason why writing about it makes sense in the first place. According to statistical data, during the period between 2010 and 2013, the total retail ecommerce sales (United States), jumped to $263.3 billion from $167.3 billion. • $491.5 billion in 2018. And if what has been predicted above comes true, it would mean that by the end of 2018, there would be a growth of more than approximately 41%. So, it definitely makes sense to try your fortune in this field. But for that you will have to take few measures so that your success is assured and you don’t fumble during the course of your journey. Let us take a look at these measures or rightly called Tips. Once you have conceptualized the idea, give yourself sometime. Perhaps, you could build a website and keep your clients guessing. The crux of the matter is don’t divulge too much information unless you have done your homework, which includes working out strategies related to SEO, social media advertisements, developing and maintenance of website, and above all planning out ideas related to paid advertisement and brand image and management. This is perhaps one of the most essential aspects that you will need to work on. These days you will get more leads from mobile customers as compared to desktop users. 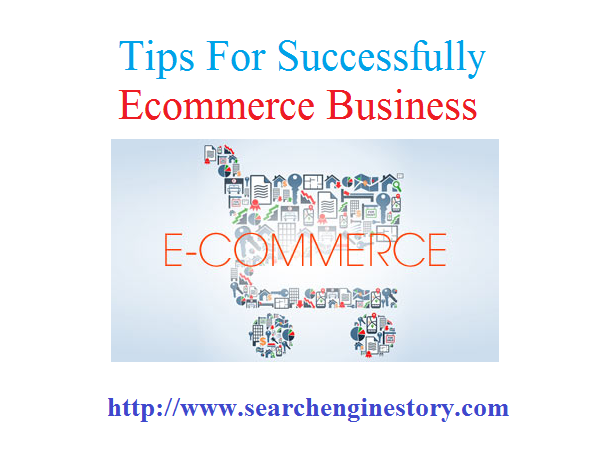 So, building your ecommerce business keeping in mind the mobile customers is a must. Also make sure that your mobile website gets indexed first. In order to establish your brand and your online business, you need to know your competitors well and their modus operandi. As far as modus operandi is concerned, you might not get a detailed insight about the same, nevertheless, you could observe how things take shape in their part of the arena. Another best way to find your competitors is to search Google or any other search engine and know about them better. This will also help you to know the nuances of advertisements that they follow for their marketing campaigns. It is a well known fact that nothing works these days unless you are active on social media platforms. And these platforms are your strength or rather pillars that will help you to build your business. Allow your prospective clients and customers to communicate with you through feedback options, call to action provision, writing a review about your products and services, and above all follow buttons. These small steps that you take will help you to go a long way. Always keep the option open for interaction with your clients and visitors. If you are running an ecommerce business, it means you are just one among the many fishes in the sea. So, you have to stand out from the rest. And how will you make this happen? Hire the services of a reliable SEO firm. While hiring or zeroing-in on one, don’t rush for the first one you come across. Shop around for few, compare services and prices, check their past track records, and opt for referrals. This is because if you are signing up with someone that has been referred, you know the services are tested and tried. Last but not the least, aside from hard work smart work is equally important!